The most dependable variety ever! Fresh celery is much more aromatic and delicious than store bought. Tall Utah has dark green stalks and a very compact habit. Start seeds when weather has warmed so crop matures in fall. Mature celery lasts into winter with light frost protection. Sow celery seeds in the north indoors in a warm, well-lighted area or in a hotbed about 10-12 weeks before they last heavy frost date in spring. In the South, and other mild areas, sow from fall to early spring. 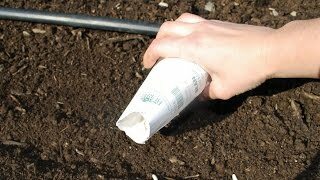 Sow seeds ¼ inch deep in seed starting formula. Select a location in full sun with a light, rich, moist to wet soil. 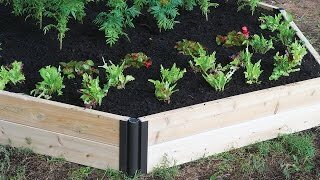 Prepare the bed by turning the soil under to a depth of 8 inches. Level with a rake to remove clumps of grass and stones. Work in organic matter prior to planting. Space plants 6 inches apart in rows 18 inches apart. Be careful when transplanting as celery develops a tap root that is easily damaged. Keep plants well watered during dry periods to promote rapid, uninterrupted growth. Celery grows best when it has constant moisture, and relatively cool temperatures. It cannot tolerate high heat conditions. Tie celery plants together to prevent sprawling and to blanch the interior. Celery can stand a light frost. Harvest celery in about 115 days from setting plants in the garden. Harvest stalks by cutting the base at soil level with a knife. Celery is great as a fresh snack or diced for use as a seasoning vegetable. Celery leaves are also edible. Eat leaves while still tender, before they become fibrous. Collect celery seed after flowering and grind up or use for celery flavoring in cooking. Wash celery after harvest, pat dry, keep refrigerated. Celery may be frozen for later use in cooking, but it does lose its crispness when it is frozen. Celery leaves may be dried in a dehydrator. Celery, Tall Utah 52-70R Improved is rated 4.8 out of 5 by 5. Rated 5 out of 5 by IhaveGreenThumb from Easy to Grow I'm glad I purchased these seeds. It's my first time growing celeries. I grew it in a pot in my balcony. It germinated very quickly. I just learned that celeries will regrow if you leave the roots in the soil after you cut off the stalks. Rated 5 out of 5 by Gleaner from Robust crop This celery really has produced. The seeds germinated easily and was able to give away seedlings and find out how other local gardeners are doing. My three plants have become fully mature, completely unblemished and hearty. Will be making lots of soups, and meals with this. My gardening friend is using the leaves in her green smoothies. We had an unusually wet summer. I also planted them in the partial shade created by my tomato plants. Just the right spot. Will grow again. In fact, from the same seed packet, for several more years. Rated 4 out of 5 by Angie from Quite Surprised This season is the first time I grew celery. I was quite surprised how well they did. I was a little skeptical, but the stalks are so green and very crunchie; so I guess I did well for them. I am a little disappointed that many of the stalks were not very wide. Maybe its something I did wrong. If anyone knows how to improve on the size of the stalks' width, I would appreciate it. Photo attached. Rated 5 out of 5 by AvalonRebecca from Amazing Yield We had more celery than we knew how to use. The bunches were beautiful and impressive. Excited to grow again this year! Rated 5 out of 5 by Jennifer from Easy to grow! I've grown this celery for years and have always had good results. I have even been able to grow it in containers.